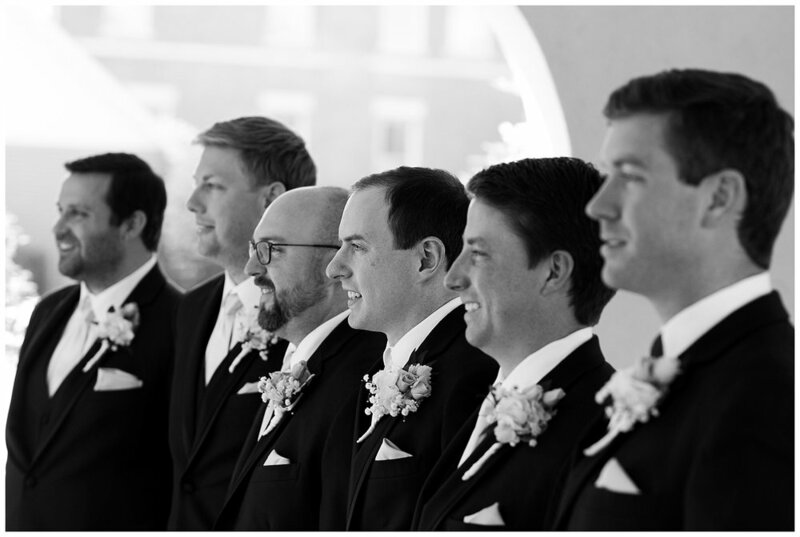 A year prior to their beautiful wedding, I met Thomas and Sarah at another wedding. Sarah was a bridesmaid to her friend Veronica and she was the bridesmaid we could all count on during the wedding to make sure things went perfectly! Flash forward a year and now it is Sarah's turn and Veronica got to be that bridesmaid for her! Thomas and Sarah are currently living in Memphis but returned home to Sarah's childhood church in London, KY. 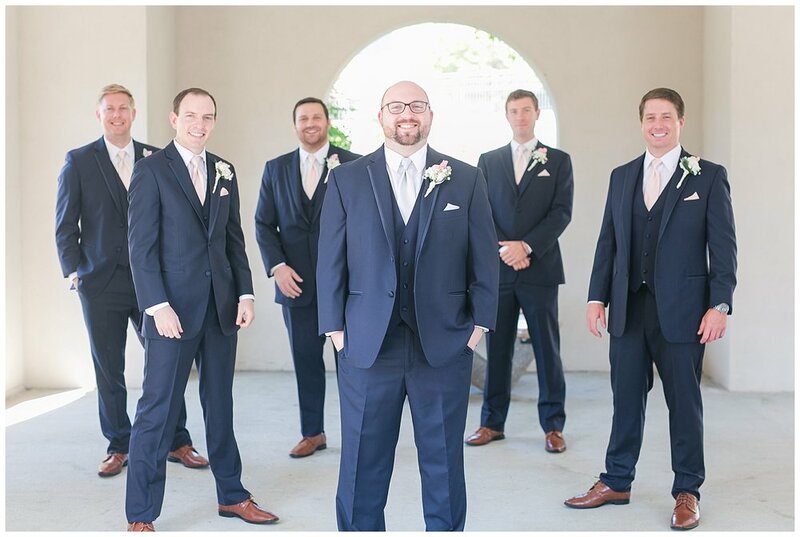 Surrounded by friends and family, the couple prepared for the wedding separately and kept with the tradition of not seeing each other until Sarah walked down the aisle. 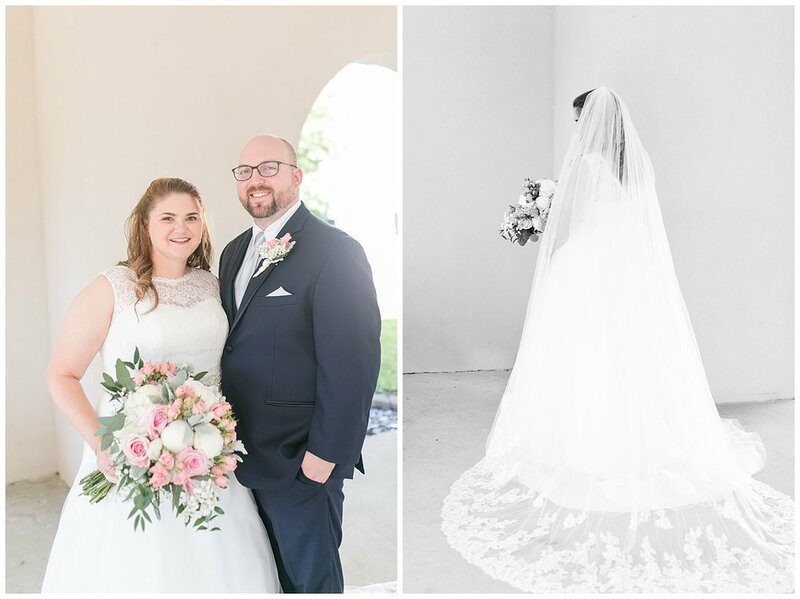 We were able to begin celebrating their wedding day with separate portraits of them and their wedding party including a first look between the bride and her dad. Every wedding timeline needs to be flexible and when we were about 30 minutes away from the ceremony, it was time for everyone to go relax. Surrounded by fresh flowers and including a lovely rope tying unity ceremony, Thomas and Sarah became husband and wife at First Christian Church in London, KY.
Utilizing the church grounds, we were able to enjoy shooting lots of couples portraits to celebrate the big day before heading the to reception at the London Country Club. 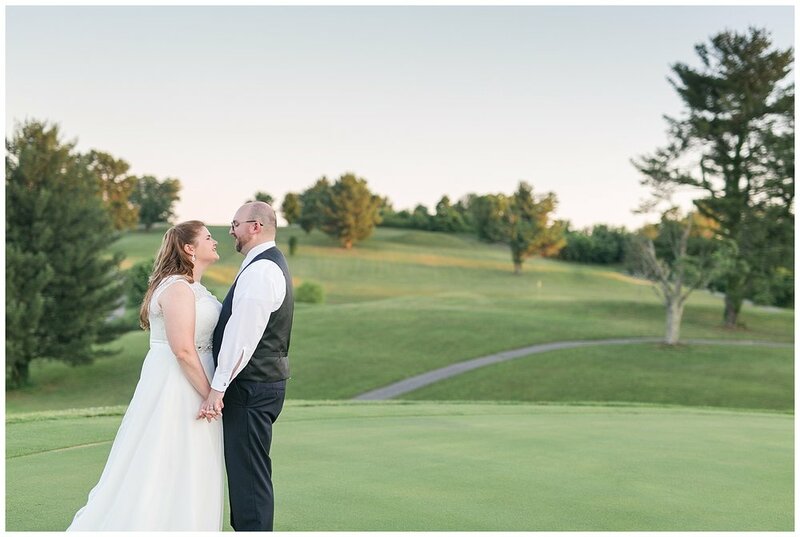 Nestled in the middle of a golf course, the country club offered a beautiful backdrop to Thomas and Sarah sharing their first evening together as husband and wife. 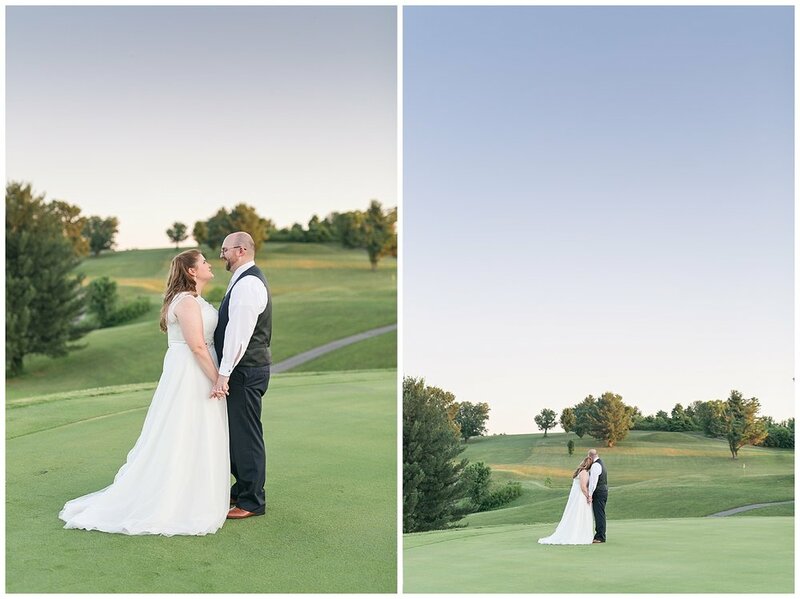 When the time was right, the three of us snuck away for a few more portraits on the greens as the sun set. The evening wrapped up with a sparkler send off for the new spouses! Daddy daughter first-looks are always one of my favorite moments on a wedding day. This pin is so special!! 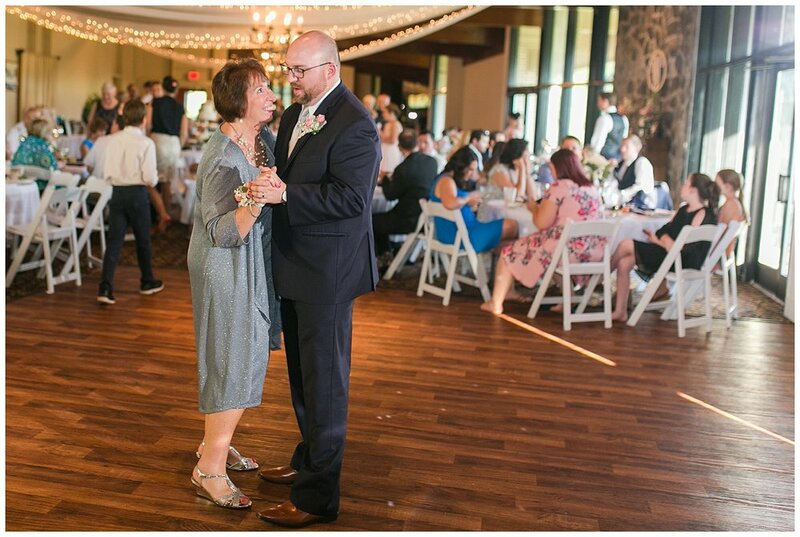 It was worn on wedding days by the bride's great-grandmother, grandmother, mother, and now her!